Success is a lousy teacher. It seduces smart people into thinking they can’t lose…. Last week’s post, “Success is How High You Bounce When You Hit the Ground,” brought more responses from readers than normal. In fact, comments came from all levels of the beer industry, including both large and small companies. There were two topics in the post, but all the comments were directed at the difficulty vendors are having when negotiating contracts with wholesalers. It was surprising that one response came from a large craft brewery, despite that fact that this same brewery has, in the past, noted difficulty when negotiating contracts for new wholesale appointees? Their solution: that the NBWA needs to lead, and if they do not, the crafts will continue to legislatively attack franchise laws. Last week’s topic is a perfect example of the NBWA’s inability to lead. Three Texas brewers: Live Oak, Peticolas, and Revolver, sued the state to overturn a 2013 statute which prohibited brewers from selling their distribution rights. Wholesalers retained such rights, however, the brewers did not. District Court Judge Karlin Crump sided with the brewers in this lawsuit. The ruling stated that the government had no compelling state interest in restricting the ability of brewers to be paid for their distribution rights. Matt Miller, an attorney with the Institute for Justice representing the brewers noted, “The Texas Constitution prohibits the legislature from passing laws that enrich one business at the expense of another.” Miller further stated, “This ruling is a victory for every Texas craft brewery and the customers who love their beer.” The state has 30 days to appeal, and more than likely, the Wholesale Beer Distributors of Texas is working with their legislators to ensure the state appeals this ruling. Now the question is, how will this ruling affect vendor-wholesaler relationships going forward? Small or new craft breweries will probably have little to no leverage without any history of sales, yet they will still have the ability to self-distribute. One would predict that if the start-up crafts did get some traction, that the wholesalers would, in turn, become aggressive. After last week’s ruling, the more established or larger breweries, like the three who sued, should be in a stronger negotiating position. Of course, once a price is determined, a contract needs to be executed. Now the vendor is in a more neutral position to get a contract whose language reflects a vendor-favorable agreement instead of being behind the eight-ball with the wholesaler. Finally, the most interesting situation to watch will be how wholesalers approaches the handful of super craft brewery start-ups. One such brewery is Wild Acre in Ft. Worth, a brewery that spends millions on state of the art equipment, hires experienced beer executives, and has retained a highly acclaimed brew master with a capacity of 20K+ bbls. Breweries like Wild Acre will be successful. But how aggressive will the wholesalers be in trying to get the distribution rights of these super crafts? The beer industry of the 1980s was quite different than that of today. Of course there have been many brand changes, and there is the obvious rise of crafts and imports, but there has also been an underlying transformation in the culture of the industry as a whole. Consider that in 1980, there were less than 50 operating breweries in the US. At the same time, however, there were approximately 4,550 operating beer wholesalers. Today there are more than 4,200 operating breweries with over 6,000 brewing licenses, yet the US has only 3,000 beer wholesalers. The growth in the number of breweries, is, in itself incredible, and has dramatically changed the industry. One could, however, also make the case the that loss of over 1,500 wholesalers has had an even more dramatic impact on the industry than the growth in number of breweries! In 2013, the beer wholesalers in Texas were able to get a law passed that prohibited breweries from selling distribution rights, yet allowed wholesalers to continue to sell those rights if they so desired. In 2014, three breweries sued the state to overturn this provision: Live Oak, Revolver and Peticolas. The court heard both sides this past week and a ruling is soon expected. It is possible this case could end up in the Texas Supreme Court. As of late, this case has been a hot topic for industry publications. This is just one key example of how the middle tier has evolved due to the resulting decline in number of wholesalers. Even though the overall numbers have declined for wholesalers, and an unprecedented number of breweries currently exist, the franchise laws which protect the wholesalers, have strengthened. Another example of this change is apparent in vendor-wholesaler contract negotiations. Most wholesalers of any size, even the new start-up craft/import specialty wholesalers, have their own contracts. All have been written by lawyers familiar with the beer laws of that particular state. These contracts, to some, are heavily sided to the wholesaler. Even a few contracts are evergreen. Given the fact that access to market is now so limited for craft brewers, many feel compelled, or even forced to sign these contracts just to get to market. Is this the definition of a partnership? Wholesalers will say the same about a brewer’s contract, that it is one-sided in favor of the brewer, even if the contract has the language supporting that state’s beer franchise laws. For the small brewer, the relationship starts with a bad taste in their month. Many feel as though they figuratively have a gun to their head. But as we all know, this does not apply to those larger, well established crafts such as Yuengling, Founders, or New Belgium. For the big boys, it is a different ball game when it comes to contract negotiations. Such breweries can have a dramatic financial impact on a wholesaler, especially if they are awarded the brand. Even with a substantial financial support commitment, most wholesalers will do whatever it takes to land one of the big suppliers. In the foreseeable future, crafts will be addressing this contract issue through the legislative process. Many believe the Texas law will be overturned and allow self-distributing brewers to sell their distribution rights. Stay tuned! Historically, when a brand died, it was truly dead. This adage, however, was proved untrue when Pabst Blue Ribbon became a favorite of the young anti-establishment consumers. Pabst changed what was once a tried and true rule in the beer industry. You might even say that Pabst was the incubator for the retro trends we are seeing and continue to see. While the industry enjoys the benefits and growth of crafts, retro beers like Pabst, are sliding under the radar, albeit some retro brands are more successful than others. What is the definition of a retro beer? One definition is as simple as saying it is a beer that your parents drank! Or, depending upon your age, maybe a beer your grandparents drank! Several years ago the on-line news Thrillist, named 23 retro beers your parents drank. Some of these included: Narragansett, Rheingold, Ballantine, Schaefer, National Bohemian, Dixie, Jax, Falstaff, Iron City, Stroh’s, Schlitz, Schmidt, Hamm’s, Grain Belt, Old Style, Lone Star, Pearl, Olympia, Rainier, Brown Derby, Acme and Lucky Lager. Shiner was also named, but some others were left out, including Drewry’s and Grain Belt. 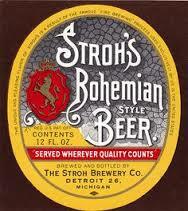 Last week, Pabst, owners of many of the above brands, announced that it was bringing back Stroh’s Bohemian Style beer to the Detroit area. Stroh’s, like many of the other retro beers who are making a comeback, appears to be resurrecting an old line extension. There seems to be no one definitive strategy that works across the board, as each brand has a different approach. Pabst is just Pabst. And Lone Star is just Lone Star. Both brands are doing quite well without line extensions or flavors. Rainier is another beer with one brand doing well, although a new Pale Ale in a retro style bottle is out. These are examples of simple business models which hold on to their traditions and regional appeals. Then you have the brands that are playing not only on the retro wave, but also on the craft wave, none more so than Narragansett. They are producing a myriad of flavors including Light, IPA, and Hefeweisen, in addition to their flagship beer, Narragansett Lager… all with great success. Stevens Point is another brewer that has also been successful producing multiple lines. Iron City has both focused on their retro core brands, while also adding flavors along the craft lines. Yet other brands, even with support and dollars invested, cannot seem to get the traction their owners had envisioned. Look at Schlitz and, although localized, Drewry’s in Indiana. Rumors and stories abound about where more retro brands will be reintroduced, including Jax in New Orleans and Olympia in Washington, both great old beers that have a long heritage. The demise of many of these breweries and brands vary, but it always boils down to two things: money, or lack thereof, and/or questionable management decisions. Whatever the reason, the demise of these once viable brands has now been reborn to new consumers and a new generation that may has yet to come to appreciate their heritage. Let’s hope all can be successful. “You hear about all the fourth quarter comebacks a guy has, and I think it means a guy screwed up in the first three-quarters.” – Payton Manning. Sometimes the right path is not the easiest one…..
Perhaps the only thing more desirable to a beer wholesaler than Guinness, are the Modelo and Heineken brands, though Stella could be a close second. Even before the 1970s, when imports were the crafts of that time, Guinness and Heineken were considered staples. As discussed in previous posts, no brand of beer owns a holiday as well as Guinness . Sure, Cinco de Mayo is all about Mexican beers, but Corona, Tecate, Dos Equis and other Mexican beers have their own share in that holiday. Oktoberfest belongs to the Germans, but it’s more a style of beer that celebrates that holiday. Many German beers do well, including the six Munich breweries who are the official Oktoberfest beers, and other German breweries that brew special beers for the fall celebration. Though not sold in Germany, these exported beers do well in the States as well. To thicken the competition for Octoberfest, many American crafts brew Oktoberfest beers. Even at this time of year, one will see Oktoberfest beers on the shelves. 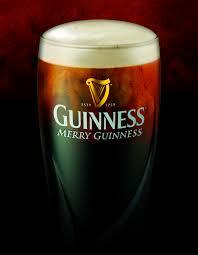 When March rolls around and St. Paddy’s day arrives, however, it is all about Guinness! Over the calendar year, the month of March could represent 50% or more of Guinness’ annual sales. So the question is, what else does the future hold for Guinness? In the mid-1980s, Diageo came out with Smirnoff Ice, one of the first RTDs, along with Bartle and James from Gallo. In test markets, Smirnoff Ice was a big hit and when rolled out nationally, the brand did very well. Today with all the competition, Smirnoff Ice is still a viable brand. Then there is probably the biggest flop in the beer industry. In 2002, Diageo rolled out Captain Morgan Gold. An immediate flop. Diageo spent hundreds of thousands of dollars on not only marketing, but destroying unsold product. Needless to say it left a bad taste in the mouth’s of many. Since that time, Guinness has added more line extensions, some of which have failed while others, like Guinness Blonde and Nitro, have succeed. Through the first half of 2016, Diageo’s beer portfolio is off three percent, including Smithwick and Harp. 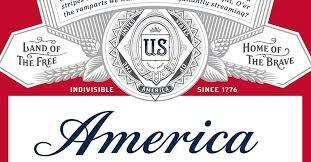 Diageo just announced it was expanding its investment in the US beer market by changing its name to Diageo Beer Co. USA. This will signal the company’s “commitment to the broad category of premium beer,” the company said. On Friday, Diageo said it has “a deep innovation pipeline for beer and flavored malt beverages” including creating a new alcoholic soda line and launching a Smirnoff spiked seltzer. This expansion represents a culture and mind-set shift for Diageo which, on the surface, should make all the Guinness wholesalers happy given the investment in the US. Even as early as last year, Diageo was focusing on Asia and Africa for growth. This shift in their approach will mean one or two things for Guinness: one much better growth and profitability; or two, Diageo could just be positioning its beer division for divestiture, as has been speculated by many pundits in recent years. ABInBev…. Sometimes the right path is not the easiest one…. Editors note; 52 week Nielsen numbers show that Guinness dollars are up +9% and volume up +8.2%. The essence of strategy is that you must set limits on what your trying to accomplish. Prior to 2008, one can argue that AB’s win/loss record was spotless. It seemed that everything AB touched resulted in a home run. All wins, no losses. Let’s look at AB’s win/loss record since 2008 when they were purchased by InBev. How does that win/loss record look since that year? More losses than wins? As of today we know that SABMiller will soon be rolled into ABI. In the past week China’s regulators have approved the merger which was the final regulatory precondition. Prior to China’s decision, in a classic study of the game of chicken, SABMiller’s board recommended that it’s shareholders accept ABI’s final offer. This final offer had been increased to L45 a share, up from L44 a share. Per the Wall Street Journal: “The drop of the British pound by more than 10% against the dollar drove the value of ABI’s cash offer to SABMiller well below its alternative cash-and-share offer because ABI shares are priced in euros. Initially, the cash offer was designed to be a premium.” ABI had increased the offer by $2 billion to head off any game of chicken. Both ABI and SABMiller need this merger to happen. While senior management at ABI may look at their record and see an unbeaten one, their performance is certainly not coming up roses. Second quarter profit dropped $1.77 billion, which was tied to a currency hedge. According to the WSJ, ABI is spending an estimated $450 million a quarter in interest on debt to finance the deal. It is no surprise that this merger is going to happen. SABMiller’s performance has been weak and this offer is a premium to the share holders. Neither SABMiller or ABI could risk losing this merger. There is no doubt that once this merger closes, ABI will chalk it up as another win. This score card , however, might be graded differently if the question was directed to an ABI US distributor who has lost market share and volume. Much has changed for ABI distributors and employees since 2008. ABI’s recent seasonal promotion, American, which uses their packaging to celebrate summer and the Olympics, initially created a buzz across all media lines. Now, however, AB’s numbers illustrate that the renaming has not positively affected Budweiser’s sales as was hoped. Another loss? First it was AB, than Modelo, now SABMiller. All have been acquired by InBev, along with a number of smaller crafts and some AB US distributors. Expect more to follow no matter what their agreement with the DOJ states they can do or cannot do. It might just not happen as quickly as ABI would like. At the end of the movie, HeartBreak Ridge, Highway has acquired a win. He now states he is “one win, one loss, and one tie.” The US beer industry will keep score on ABI after this merger, but do not kid yourself. ABI will continue its assault on the US market.